If you’re looking to immerse yourself in art and history but are on a budget, there’s an array of free exhibitions running throughout Australia. As a student myself, I know it can be tough balancing a social life when money flow is quite low. Luckily, Student View have put together a go-to exhibition guide for students who don’t want to miss out on the fun, even while strapped for cash. 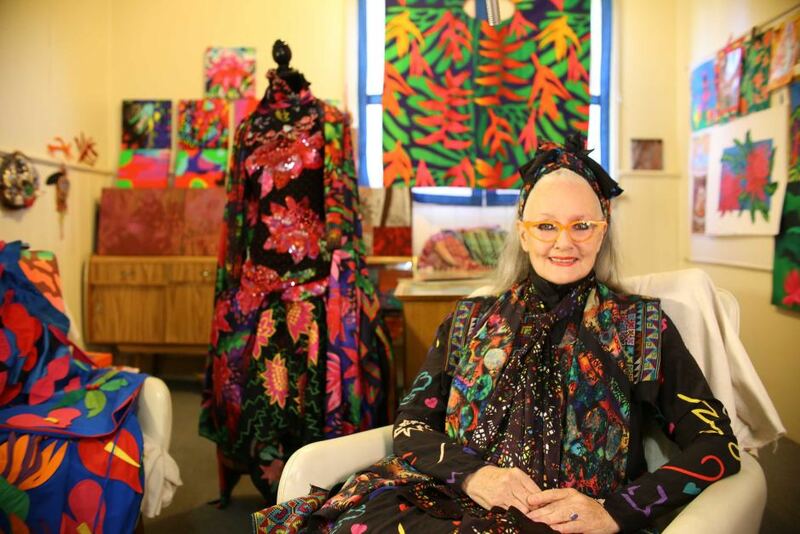 For both fashion and art lovers, Linda Jackson’s exhibition at the Art Gallery of South Australia is a must-see, celebrating more than 40 years of the artist’s extensive career. Jackson has created beautiful and striking vivid textiles, art works, and garments – inspired from local traditions, and hand painted and embellished with opal, gum leaf and floral motifs. Jackson has collaborated with other Australian artists and designers, including renowned fashion designer Jenny Kee. This exhibition is now running until 29 October, 2017, displaying a selection of pieces from Jackson’s Utopia collection as well as other acquisitions from the artist’s archive. Visit the Art Gallery of South Australia for further information. Brett Whiteley was a renowned artist who created striking paintings, drawings and sculptures, inspired by the Australian landscape. West of the Divide at the Art Gallery of NSW showcases the connection Whiteley had with the urban and rural landscapes of Australia, with elements such as birds, eggs, nests, trees, rocks and rivers incorporated with an abstract and realistic twist. Whiteley’s pieces are unique, vibrant and full of life, inspiring generations of young emerging artists. West of the Divide is currently running until 19 November, 2017. Head to the Art Gallery of NSW for further information. If you’re a fan of beautiful and delicate watercolours, this exhibition is one to add to the list. Consisting of over 80 stunning and rarely seen watercolours, this collection consists of the first works of art acquired by the Art Gallery of NSW, boasting that old-world feel with their opulent gold frames and ambitious subject matters. Victorian Watercolours is a great chance to embrace art history, while evaluating the ways in which art has evolved over time – inspired by the timeless classics like these beautiful works on show. Victorian Watercolours is currently running until 3 December, 2017. Perhaps one of the most awaited exhibitions of the year, Heath Ledger: A Life in Pictures celebrates the late actor’s life and passion for film making. Heath Ledger worked with some of the world’s greatest directors and actors and became an iconic figure who conveyed a deep connection to his performance in a number of roles and genres, including The Dark Knight, 10 Things I Hate About You and Brokeback Mountain, among others. If you’re like me and were a huge fan of Heath Ledger growing up – especially because of 10 Things I Hate About You, this exhibition is one to prioritise, exclusively displaying Ledger’s personal research journals, and portraits by reputable international photographers. If you’re a local or visiting WA in October through to January, be sure to add this event to the list. Head to the Art Gallery of WA for further information. Jim Dine is a popular American artist who made waves in the late 1950s and 1960s, particularly as Pop Art came about. Dine is a painter, sculptor, print maker and poet who depicts everyday objects in his work, including mundane tools, or love hearts. He experiments with these simple motifs and changes their ordinary status by fueling his work with personal meaning, elevated by mixed media and materials, including etchings, lithographs, woodcuts and prints. This is an excellent chance to see Jim Dine’s first solo exhibition in Australia, including a selection of prints which the artist donated to the NGV in 2016. Next Story → Love is Love: Where do we stand?